Inspired by Flexbugs this list aims to be a community curated list of CSS Grid Layout bugs, incomplete implementations and interop issues. 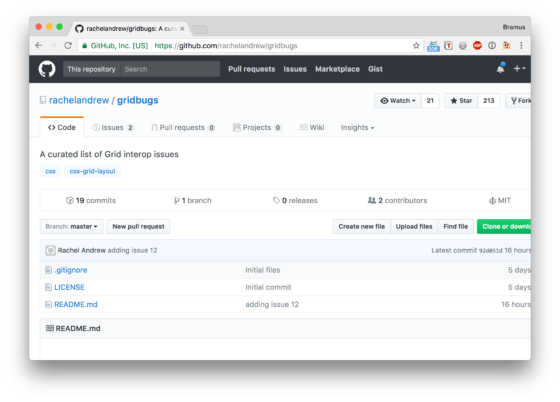 Grid shipped into browsers in a highly interoperable state, however there are a few issues – let’s document any we find here. By Rachel Andrew – who else?! – of course.